Lt Col Cobra Tahna of the Afghan National Army addresses women of the Special Mission Wing (SMW). (photo Sun Vega, NSOCC-A, March 12, 2018). Women of the SMW – The Afghan Special Security Forces (ASSF) have been in the lead for the introduction of women into the Afghan National Defense and Security Forces (ANDSF). The Special Mission Wing (SMW) is one of the Afghan SOF units actively recruiting women for its organization. This is also true of the Commandos, national mission units of the MoI, as well as the National Mission Brigade. The SMW is the smallest organization of the Afghan Special Security Forces. It has a fleet of Mi-17 helicopters and PC-12 fixed-wing aircraft. The SMW was originally established in 2006 as the Afghan Air Interdiction Unit assigned to the Ministry of Interior (MoI). In 2013 it was redesignated as the 777th Special Mission Wing as part of the Ministry of Defense (MoD). The SMW supports the various ASSF units found within the MoD and MoI. The female members of the SMW – currently numbering about ten – hold diverse positions within the aviation unit. They can be found in the medical, operations, intelligence, logistics, and security areas of the SMW. Plans are to increase the number of women in the SMW from ten to 40 by 2020. However, there is great societal resistance within Afghanistan to the idea of women serving in the military. Recruiting women for the Afghan National Defense and Security Forces is a challenge. In addition, many men in the ANDSF are not that receptive to women in their ranks. Often the women – even though trained in their specific job responsibilities – are assigned menial duties. 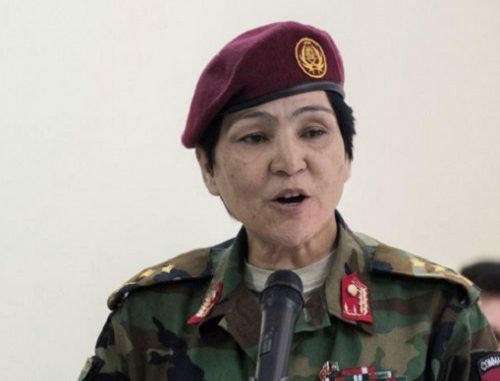 Another factor affecting recruitment of women is that the Afghan security and military sectors continue to have a shortage of senior women in the ranks who can serve as inspirational role models for the younger generations of Afghan women. However, with the persistent presence of NATO and U.S. advisors eventually the agenda of recruiting and integrating Afghan women into the ASSF – and the ANDSF as well – will succeed. Figures from the December 2017 Special Inspector General for Reconstruction of Afghanistan (SIGAR) Quarterly Report to Congress. From Operation Freedom’s Sentinel: Report to the United States Congress, Lead Inspector General, October 1 – December 31, 2017. Information for this article is primarily from Women of the Afghan Special Security Forces: Flying High with Special Mission Wing, by Martha Schaeffer, NATO Special Operations Component Command – Afghanistan (NSOCC-A), March 20, 2018.